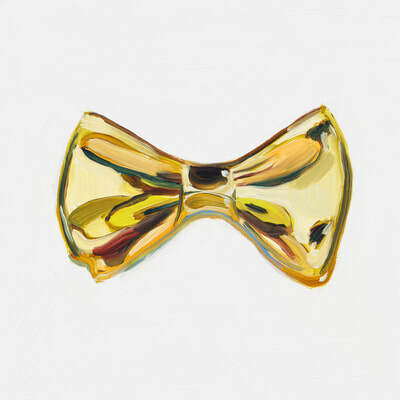 30 Paintings in 30 Days is a common oil painter's exercise to research a focused idea or method. 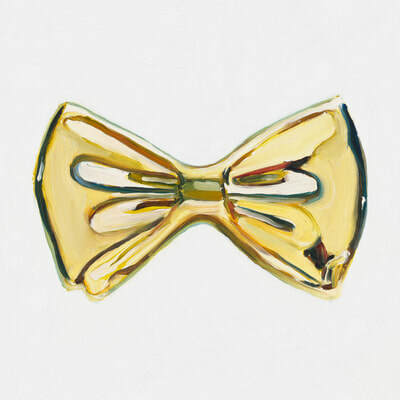 I find the best operating mode is much like that of a scientist, wherein a hypothesis is tested. 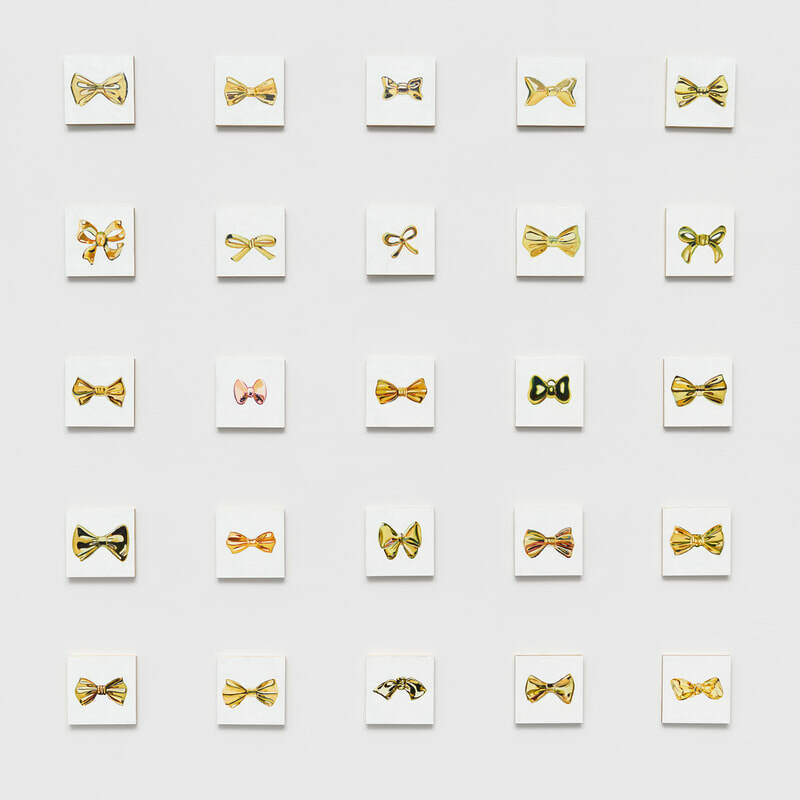 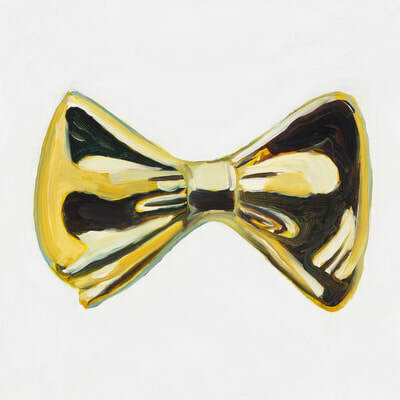 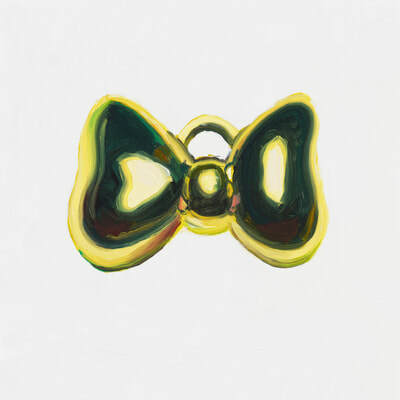 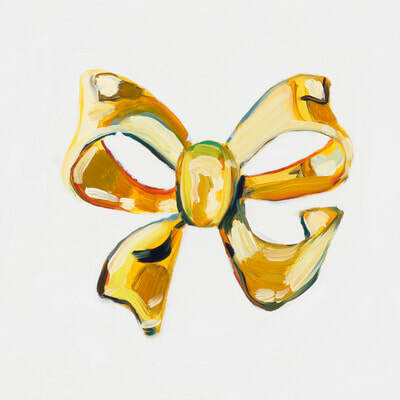 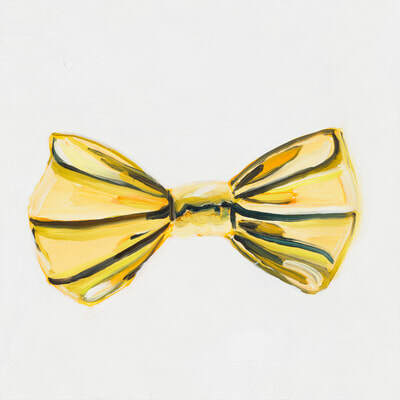 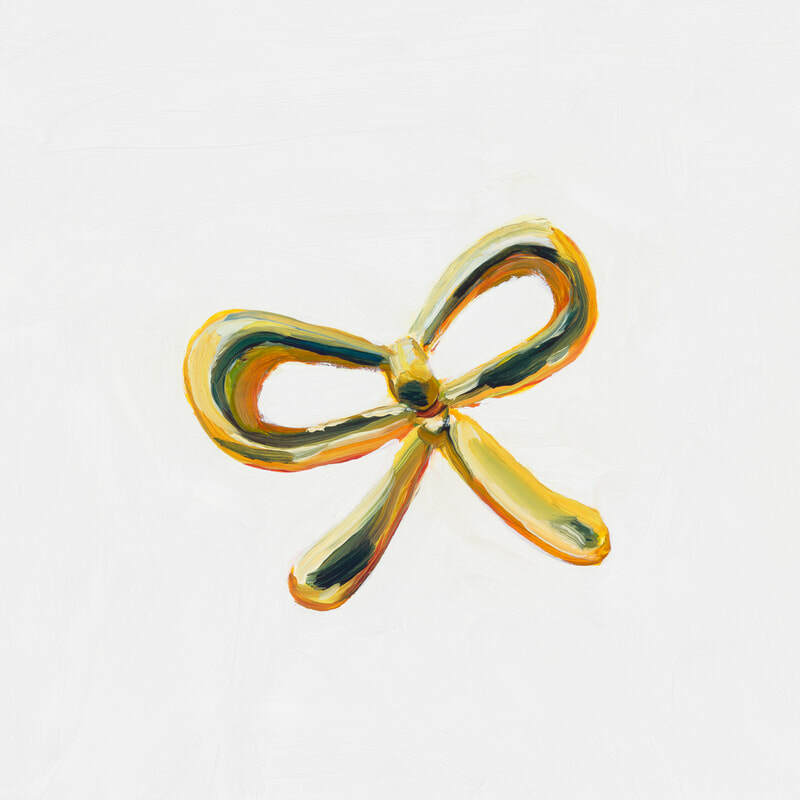 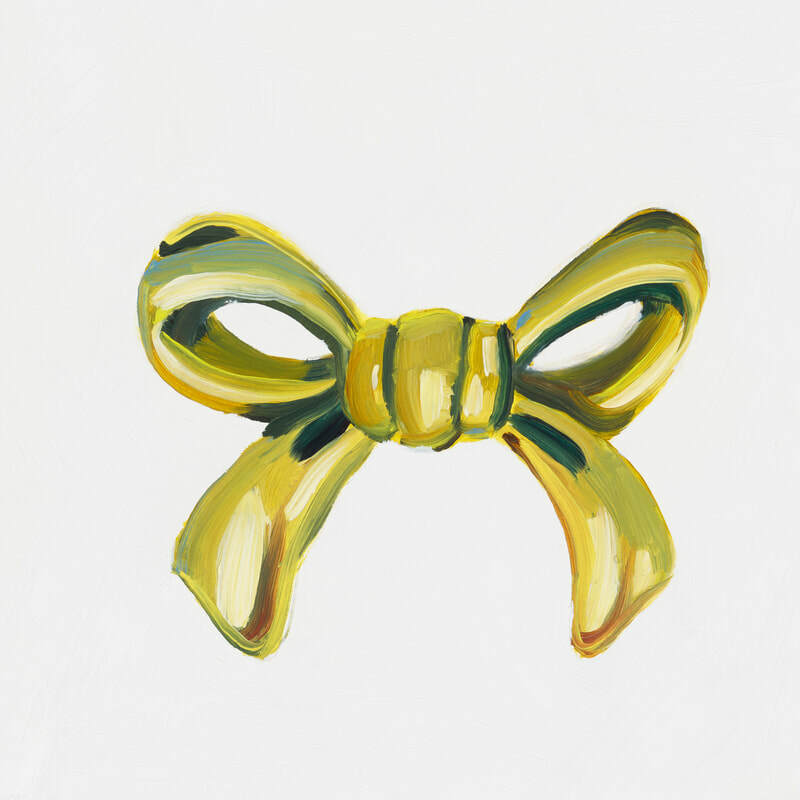 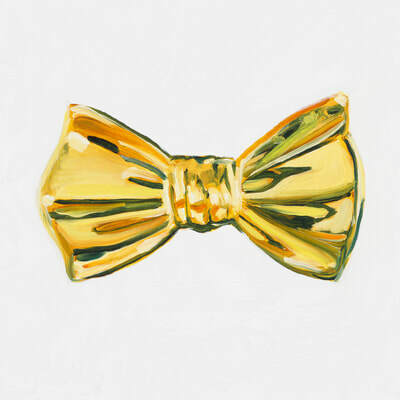 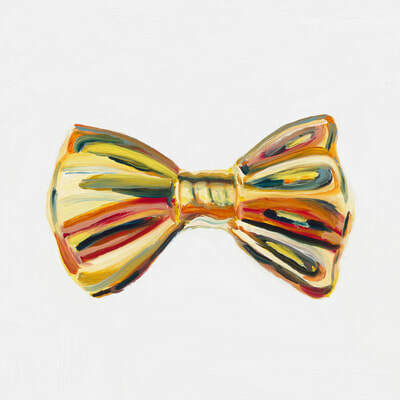 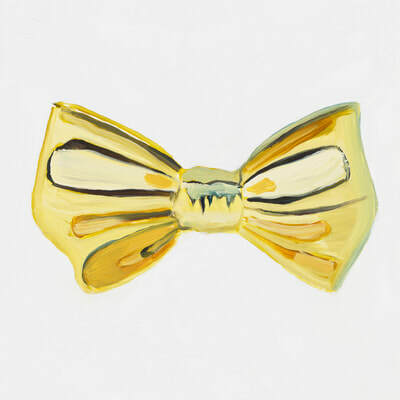 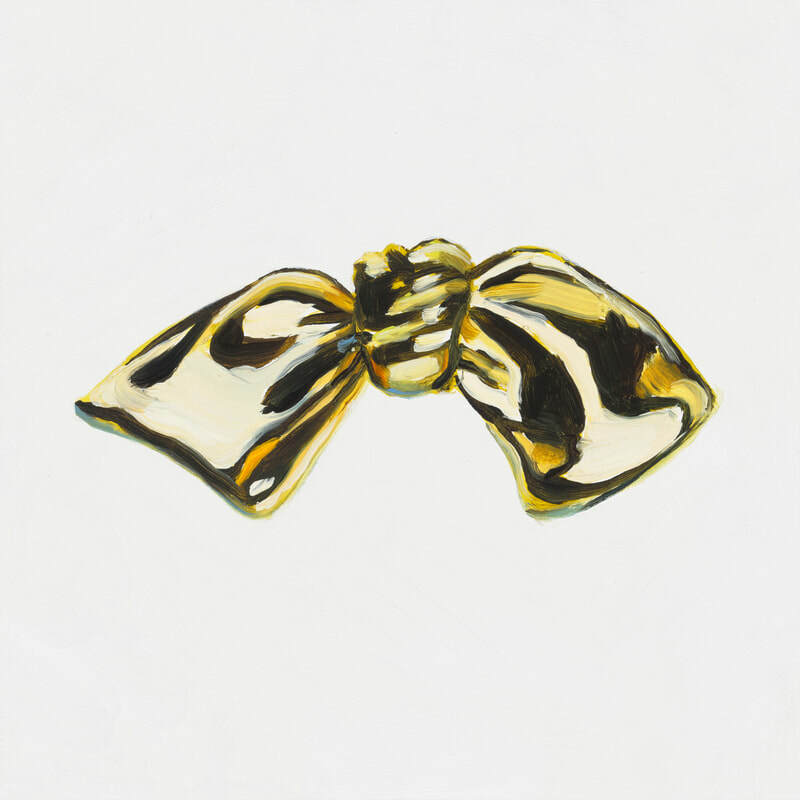 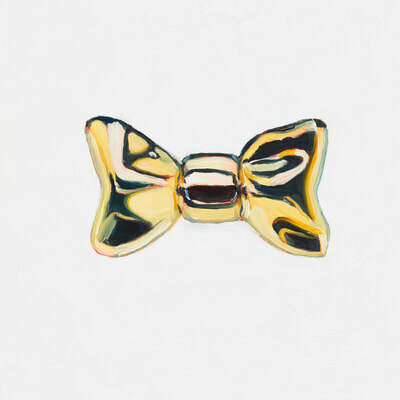 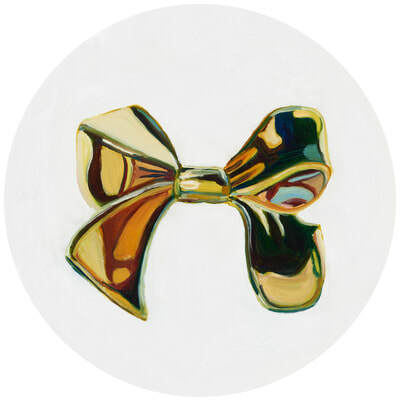 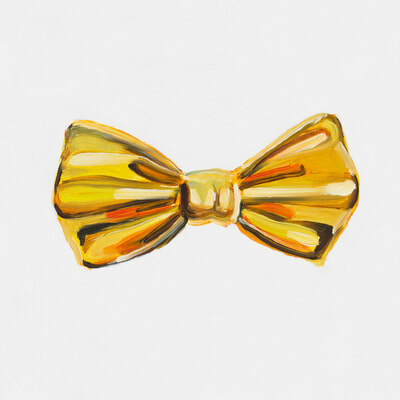 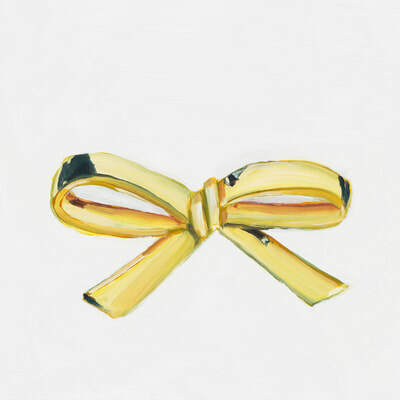 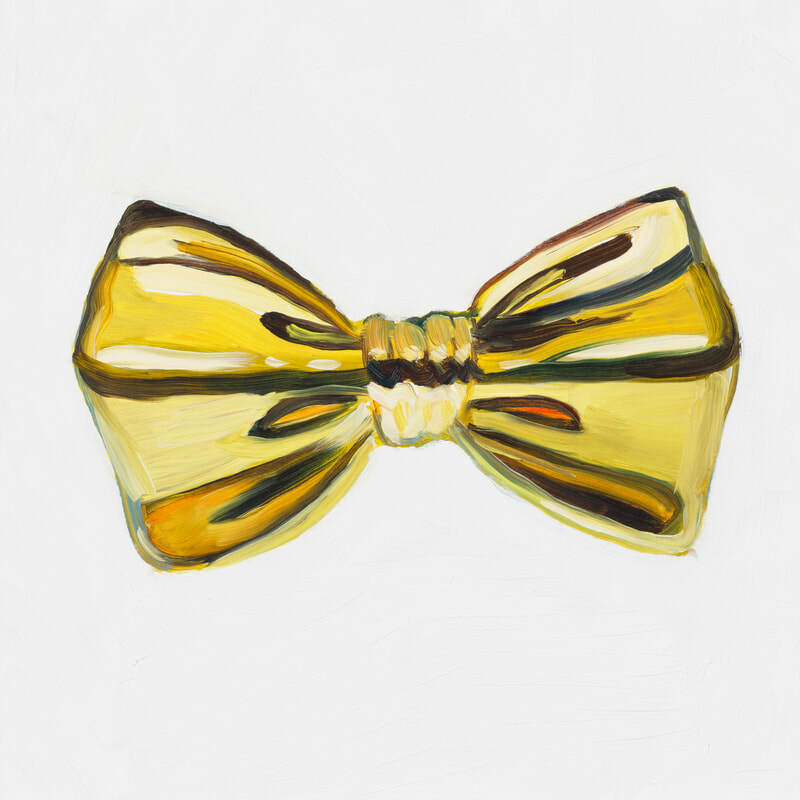 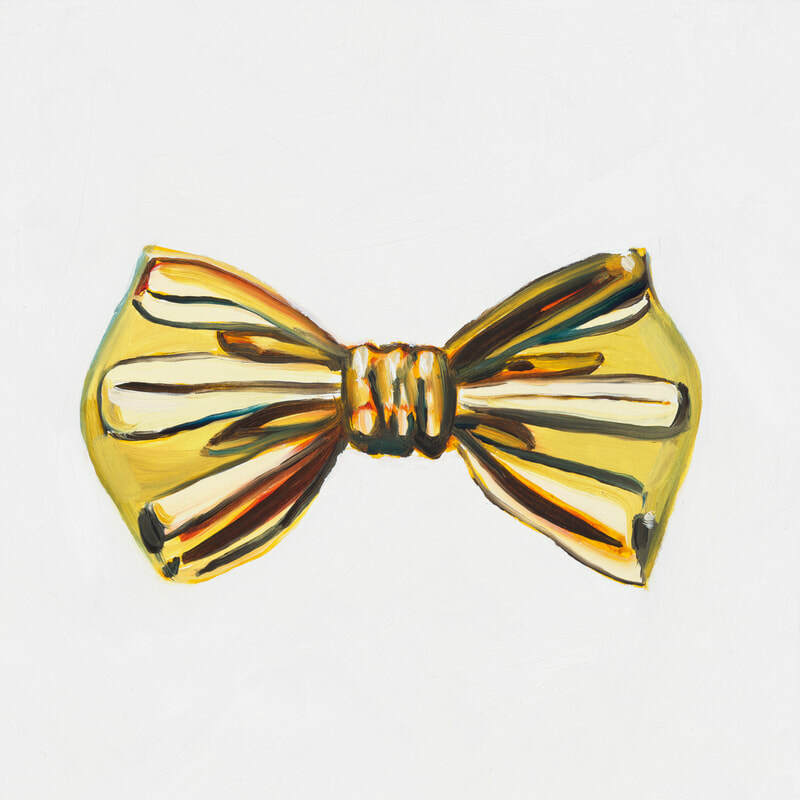 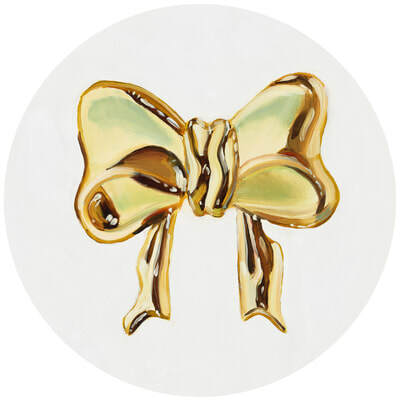 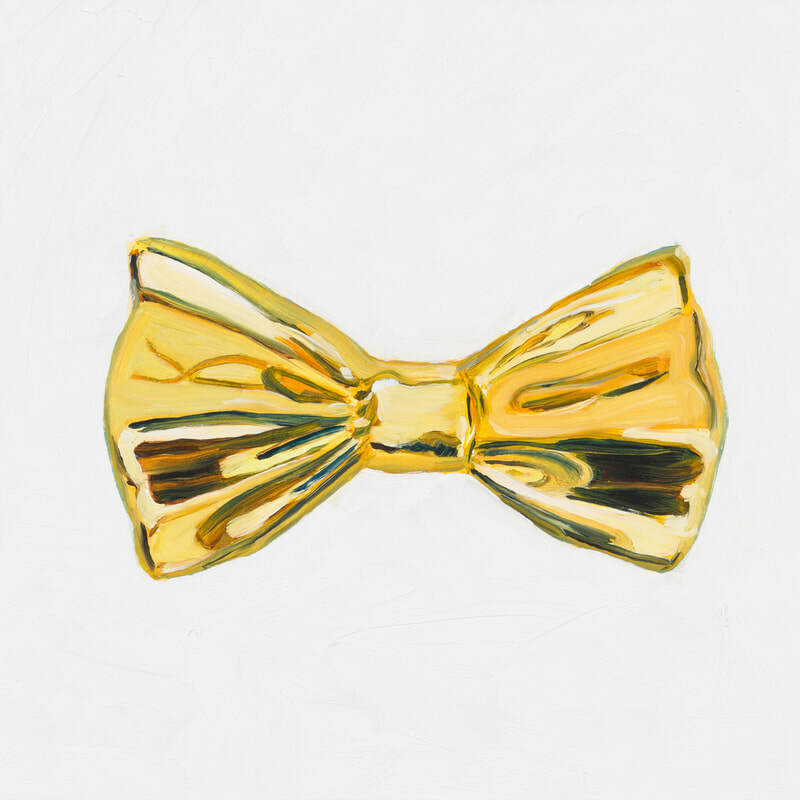 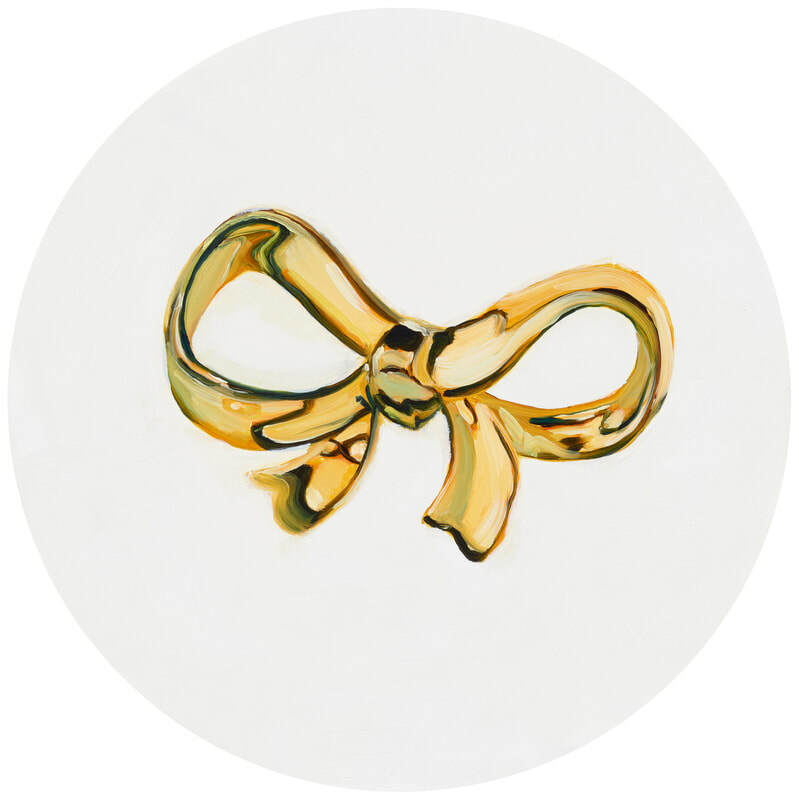 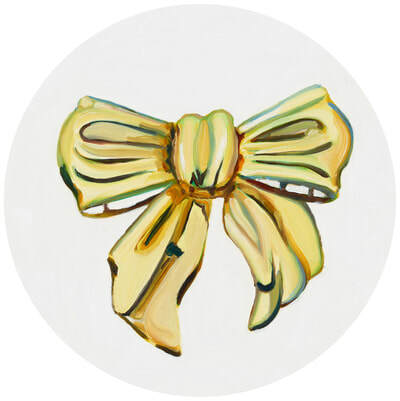 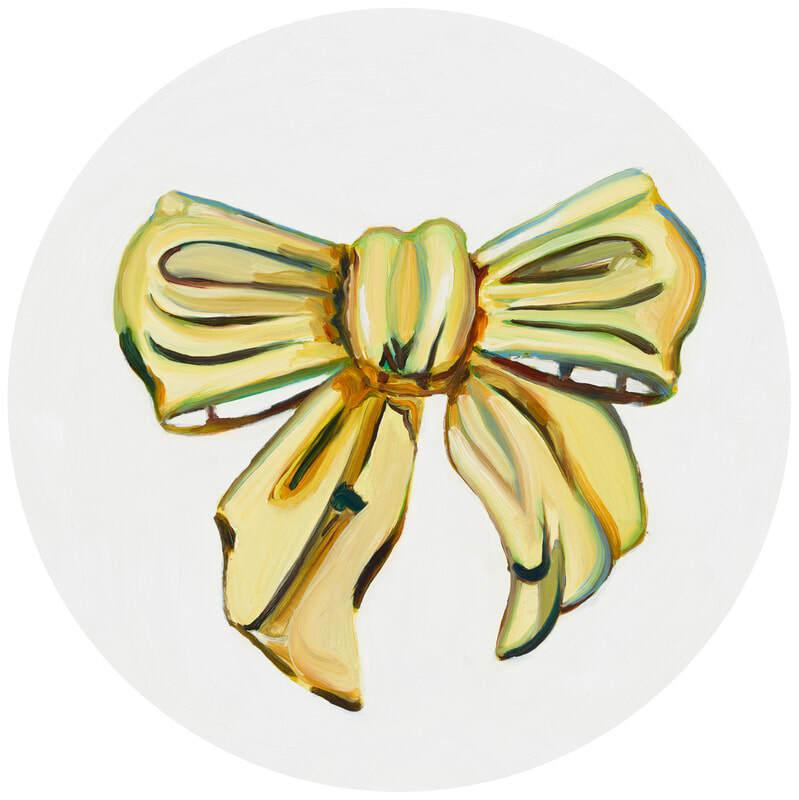 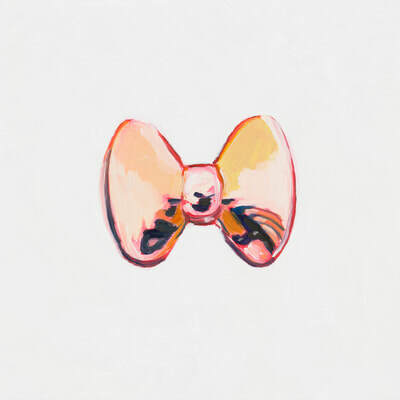 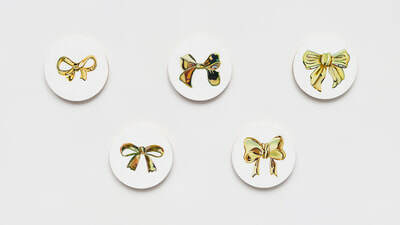 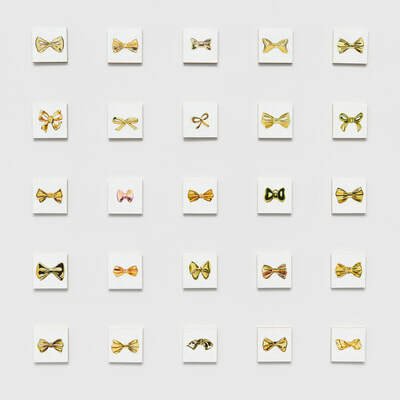 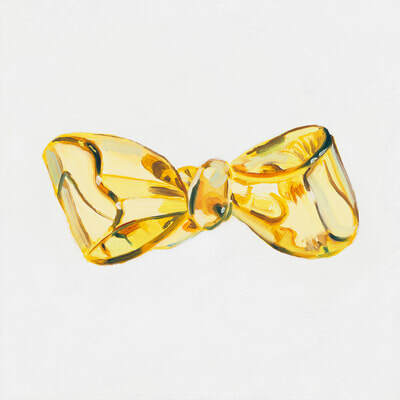 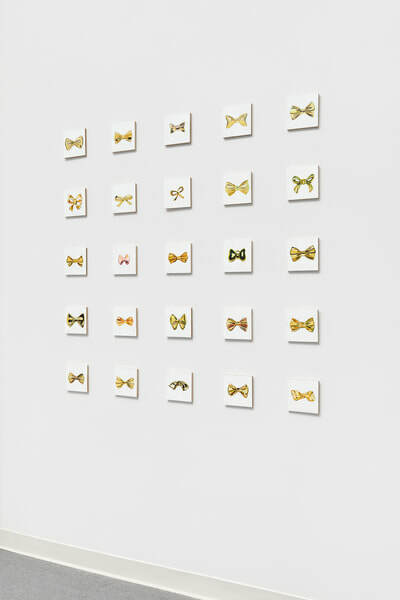 In Little Beauties I tested the response to my oil paintings with the subject matter all referencing tiny golden bows primarily consisting of costume jewelry and small plasticine objects. 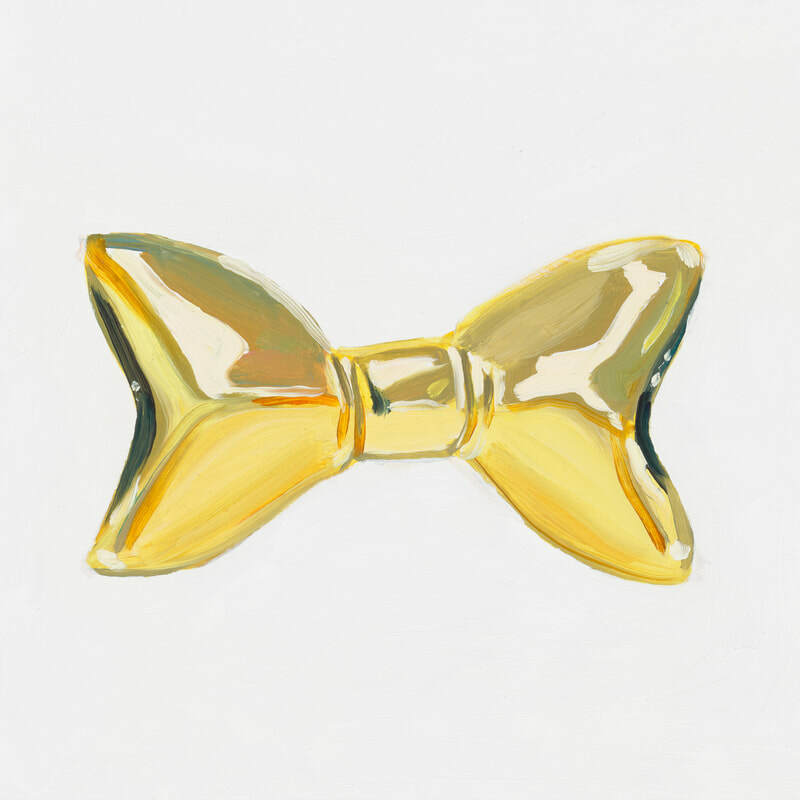 For this series I carefully selected objects that were reflective and golden, similar to a grand prize trophy. 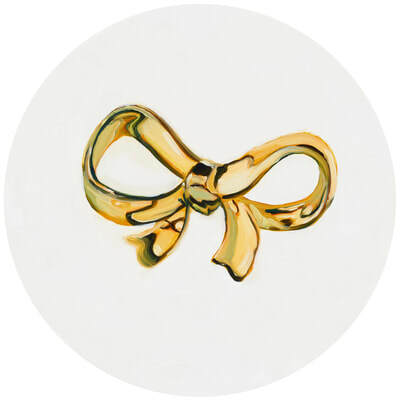 These objects were often not made of actual precious metals, only made to appear they were. 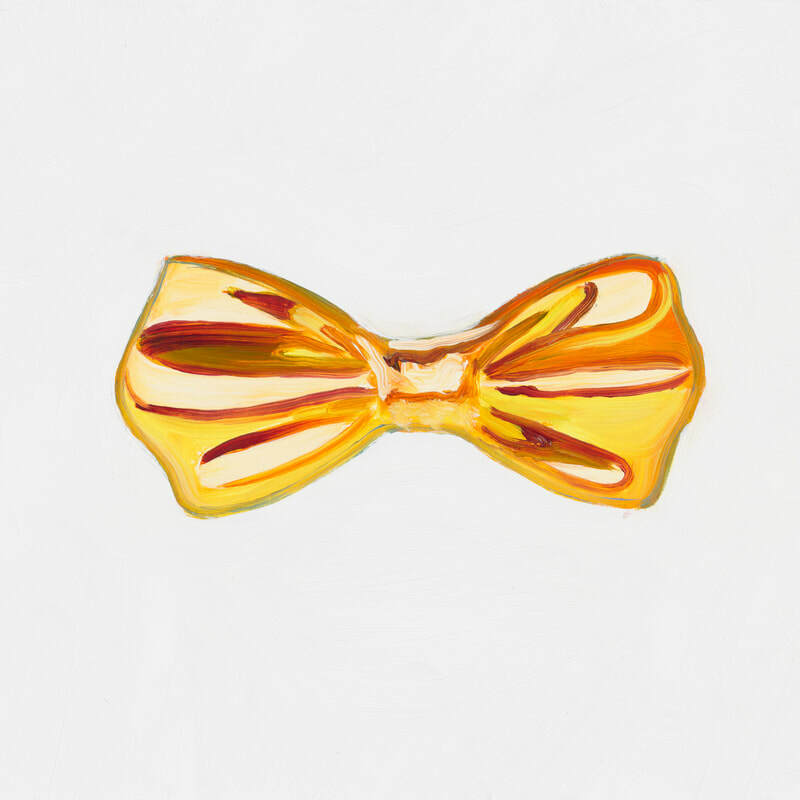 Like a conveyor belt of chocolates a la I Love Lucy, I aimed to publish new works daily to overwhelm and tempt my viewers into a closer look. 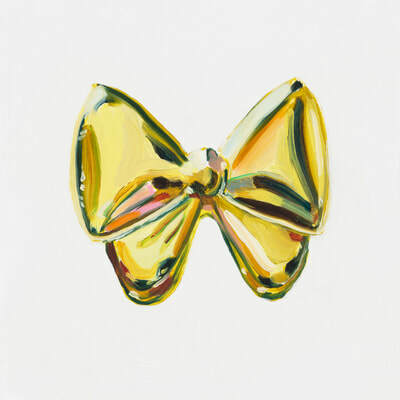 There is a deliberate superficial appeal of the paintings, as shiny objects to judge and enjoy. 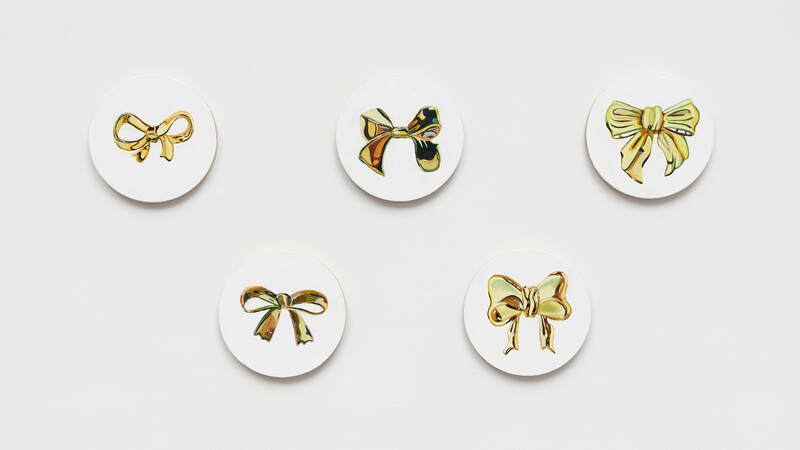 Each title echoes of prizes from beauty pageants, dog shows, and snarky commentator remarks. 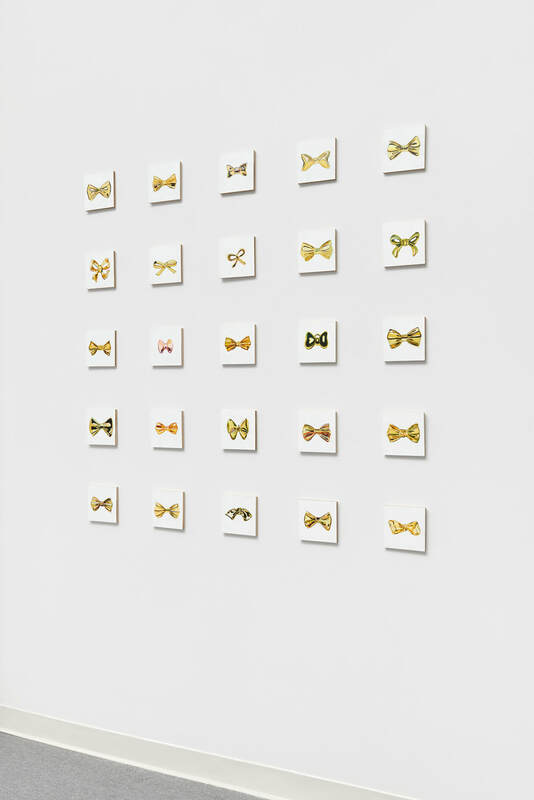 The personification of the objects, with the metaphor of beauty pageant contestants being cast as glimmering objects, points to the larger idea of women being viewed as objects. 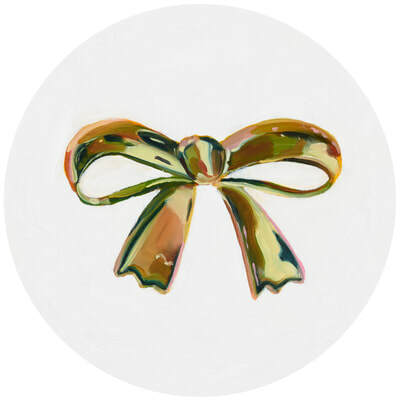 Prized as a decoration, discarded when they are no longer shiny and new, women in America are often treated as simply trinkets, not to be taken seriously, with their worth constantly judged and called to question based on appearance. 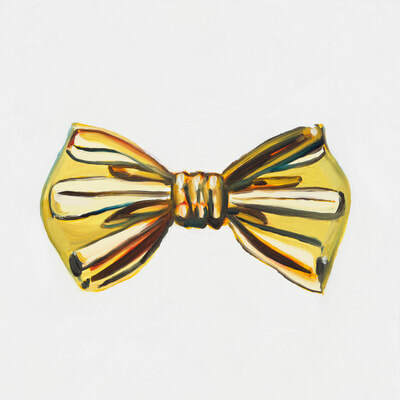 Pleasant, and polite, taking notes from the lunacy of the The Stepford Wives, this is a series that speaks to the need for women to actually be treated as equals, as people that deserve equal rights, equal healthcare, equal pay and equal representation in political office. 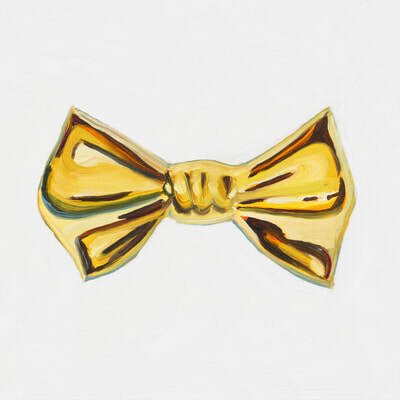 No man-splaining, no lip-service, equality now. The paintings are small in size, and many in number as a reminder that voices of underrepresented groups are stronger together. 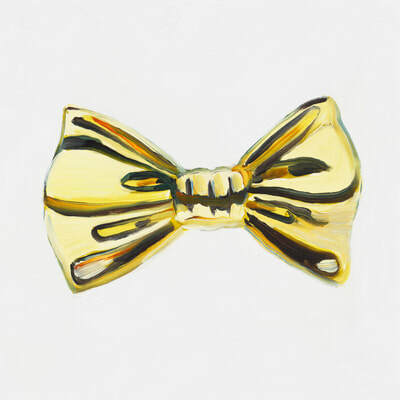 One small voice can soon become a chorus and now is the time to sing.